Inspiring trust in your customers is absolutely crucial to ensure that they feel confident visiting your site. Security breaches of customer information is becoming a huge concern for consumers. The recent large security breaches of companies like Target have been shown to negatively affect profit. We are at Yoll Graphiks take loads of extra security measures to ensure that the websites we create are absolute state of the art. All of our websites come with secure-socket layer encryption (SSL) as well as DDOS mitigation software. If you choose to host with us, we provide extra layers of security on the server side as well. Basically, your company’s website will be as safe as it possibly can be. Regardless of whether you choose to sign up with our services, there are several steps you can take to increase your website’s security. 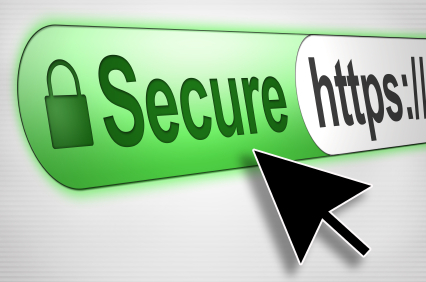 If you host your own website, then we strongly advise you to get an SSL certificate for your website. This extra layer of encryption between your website and your customers ensures that no third parties are listening or maliciously collecting information from your website. All major websites have them. When you see the ‘https’ in your browser’s address bar, it means that website has SSL encryption. They aren’t that expensive. You can get them from Godaddy for $49 per year. They also tend to have coupons for SSL certificates, so you can save 30-40% off the regular price. CDNs are becoming much more popular these days. Instead of your website existing in a single location, copies of your website exist in a network all around the globe. So visitors from different parts of the world don’t have to wait for a server from Arizona to answer their requests. It helps your website operate faster, and handle unexpected traffic surges (if a post goes viral, for example). But there is an added security benefit to using a CDN as well. Most CDNs have DDOS mitigation services that help your website if you are attacked. They also monitor their networks for suspicious activity and black list spam activities. So if a malicious spambot attacks one site, the entire network will be alerted and protected from it in the future. The most popular of these services is Cloudfare. It’s free to use (there are also premium services). The reason we highlight it here is that it has an excellent reputation on the world wide web. There is also strength in numbers: it’s the biggest CDN out there, which means that it has the most protections from malicious programs and services. At Yoll Graphiks we utilize Cloudfare on our servers for the added speed and security that Cloudfare provides. If you sign up with us, you can opt out if you like (although it is free! ).